There are just as many baklava versions as there are countries that claim ownership of the flaky, crispy and tender dessert. And over time, the Greek – yes, Greek – dessert has been adapted and Westernised so that we now have cheesecake baklava, baklava ice cream and even the chocolate brownie-styled variety that some would say is sacrilege. The Greek Centre is open to all baklava varieties in its contest to find Melbourne’s Baklava Master. 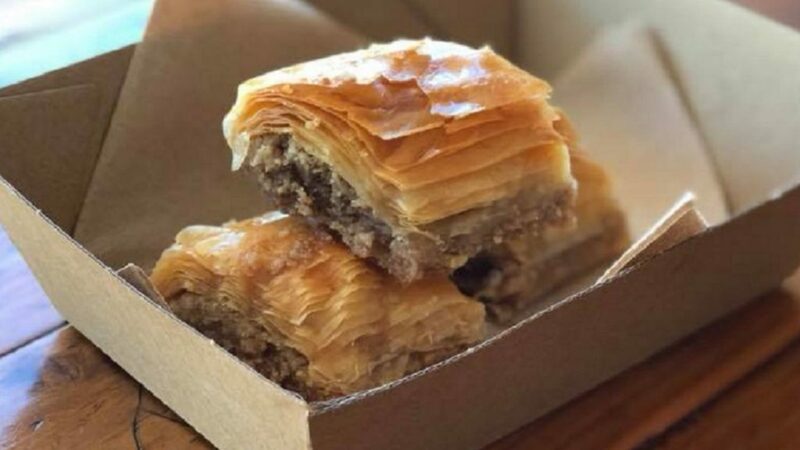 Entries closed on February 8, however there has been an extension and contestants are invited to bring a tray of their famous flaky creations to the Greek Centre, a week before the 2019 Lonsdale Street Greek Festival this Saturday. The winner will be invited to present the winning dish on the Procal Cooking Stage during the Lonsdale Street Greek Festival on 23-24 February, however other contestants will also walk away with some food prizes. The competition is open to all interpretations and entrants can make their baklava in any form they wish – traditional or with an unexpected twist. Call 03 9662 2722 for more information as to how to enter.